As one listens to Suzanne Jarvie’s sound on her new record In The Clear, it’s hard to imagine it was only in 2014 that this Toronto wife, mother of four and lawyer, found the courage to record her debut album, Spiral Road, produced by Hugh Christopher Brown. 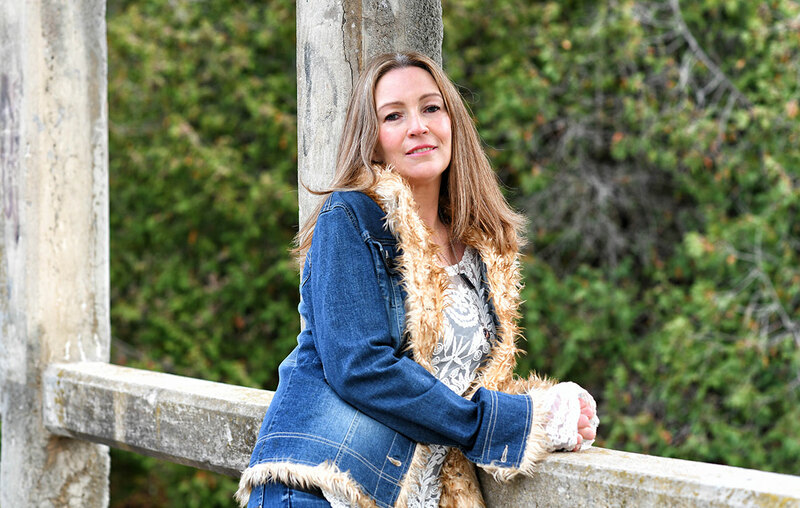 Jarvie’s sophomore record In the Clear, released on January 22, 2019, picks up where Spiral Road left off – delving deeper into the aftermath of her son’s brain injury – and going beyond it. The tunes tunnel into feelings and impressions that are the essence of Suzanne’s artistry, luminous rabbit holes that merge mysticism with reflections on life’s ups and downs that fans of Joni Mitchell, Bob Dylan or Lucinda Williams would appreciate. Producer Hugh Christopher Brown keeps the music steeped in mostly acoustic sound, and the mix of dobro, mandolin, guitar, violin and bass. Suzanne will be officially launching her record at a release party in Toronto later in February, touring Europe in May, playing Ontario shows and Montreal in April, West Coast Canada in summer and back to Europe in the Fall. Shows are also being planned in the US.